In 1898, H.G. Wells wrote a story of about a time traveler who builds his own time machine and is able to travel forward 800,000 years. What he finds is a society that seems to be living in harmony, but in reality is even more depraved as the world the traveler left. Last month, on the 11th Anniversary of 9/11, I felt like I was in a time machine as NBC ran their coverage of 9/11 “as it happened.” I was amazed when I realized that my reaction to was so similar to how on that Tuesday 11 years ago. I found myself watching, still in a state of disbelief, not disbelieving that it had happened, but that it could happen, that those buildings really could collapse. As with 9/11, 2001, I also found it very hard to tear myself away from the TV. This compulsion even today to watch the events of that day are different than say the compulsion to rubberneck. Unlike rubbernecking, we are not passing by, and the accident was not something that happened to someone else. While buildings in Dallas, Plano, or Farmersville (where I was at the time) did not fall, the events did happen to us as a nation. The pain and fear felt by the people in New York and Washington, as well as the families of those on all the hijacked flights, indeed the panic of families with anyone flying that day, was shared by everyone in the country and by most of the world. Such is the essence of community. While the entire nation grieved and felt attacked. The persons and families directly impacted by those acts of terror felt the support, love, and prayers of an entire nation and indeed much of the world. This is the essence of the community provided by the Church, both local churches and the universal Church that is the body of Christ. We bear each other’s burdens so that none of us has to bear our burdens alone. We are blessed by the ties that bind us to each other for in binding us to each other through the willingness to bear even burdens, we are better bound and tied to Christ. Another thing I experienced while watching the day happen again was that I was reminded of Paul’s teaching in Romans 8 that God works for good in all things. The unity of that day and the days after, now forgotten except when reminded by anniversaries and programs like this, was a blessing from God. I know many churches all over the world had worship services the night of 9/11. We had one at First UMC Farmersville where I was pastoring. 275 people, many not members of the church, came to that service as we gathered, grieved, and lifted our questions, fear, sadness, and anger to God. God was there, and received them, and ministered to us and through us. Today, times have changed. Obviously the unity within and from outside the country has dissipated. It is both good and bad that we have been able to move on. Good that we could establish a new sense of normalcy, bad that the new normalcy includes the old divisions within and between people and nations. What has not changed though is the consistency of God. God is still in our lives and in the world, seeking to work for good in all things during all times. 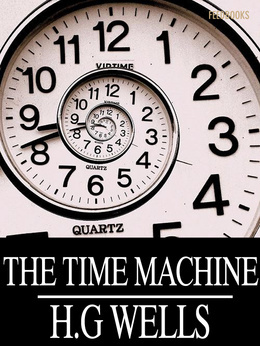 Whereas the TV served for me as a time machine this past September 11th, with God there is no need because God is timeless as God is the creator of time. In God there is only one time, God-time. Our challenge as children of God and Disciples of Christ is to get away from our times by spend more time in God-time. Unlike the time traveller in H.G. Wells’ story, this is time well spent and time that allows us to truly discover and experience peace and hope for the future and our future. This entry was posted in Faith Shots and tagged 9/11, Apostle Paul, Body of Christ, Christian community, church, god, God-time, H.G. Wells, Kingdom of God, prayer, remembrance, Romans 8, time machine, time travel. Bookmark the permalink.